I'm over on the STAMPlorations blog tonight with some birdies - here's one of them. Pop on over and have a look at the rest of them, and if you're thinking of spending, you'll get 20% off all stamps, dies and stencils in the store if you use my code STAMPGIRLSHIRLEY. and The Male Room - Technique - Mixed Media. I've used dye inks and water for stamping, Distress inks and Distress Oxides for colouring, die cuts and washi tape. Love the wonderful look you created! 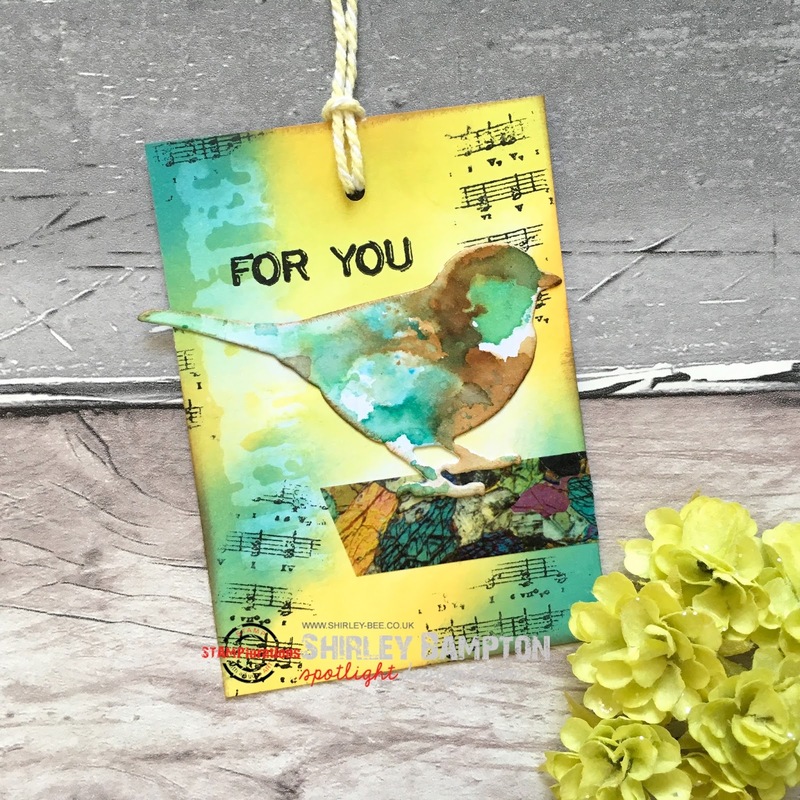 OMG...WOW...LOVE your watercolored background and your smooshed die cut bird and all your stamping, etc for your beautiful mixed media bird die! TFS Shirley. Hugs..
Love how the bird mirrors the Washi tape! How cool to have you join in at Stampotique! Wonderful Colors and sweet bird ! 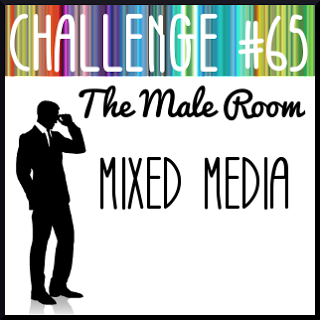 thank you for joining the Stampotique Challenge. This one seems a perfect project and I hope that you will be able to win the contest. Wish you best of luck for it. I do like the colours you've used on this super tag! Great texture with the inks too. Thanks so much for playing along with our Mixed Media challenge at The Male Room, Deborah. DT. This project sings! Thank you for sharing it with us at Stampotique this week! These colors are beautiful together! Thank you so much for sharing with us at Stampotique! Beautiful! Thanks for joining the Stampotique DC! Love the watercolor on this, Shirley! Seize The Birthday - Red, White and You!